Buckland Painting & Decorating is a family business based in Leongatha, South Gippsland and working in the surrounding areas. We are able to provide all interior & exterior painting services, including restoration work, wallpaper and special effects painting. 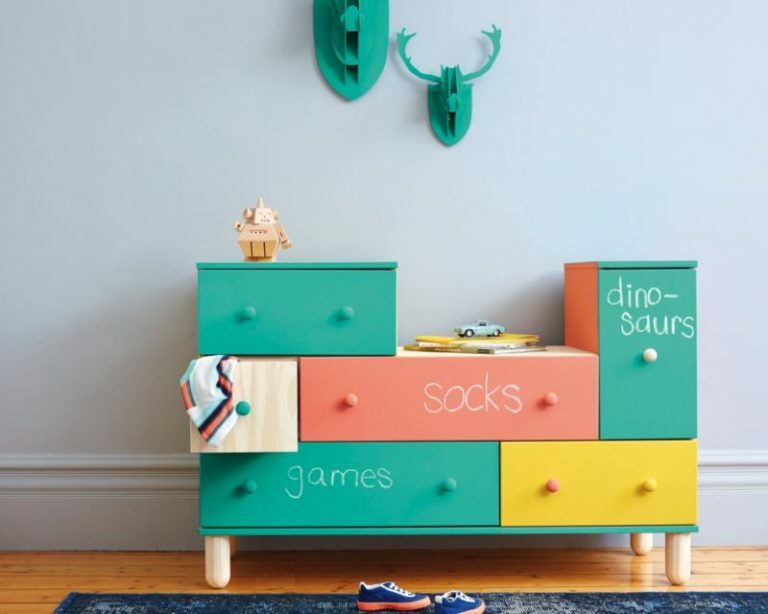 Buckland Painting & Decorating has the skill and experience to transform your home or investment property, including helping with colour selection. We are Dulux Accredited painters & decorators; read more about what that means here. High chemical & scrub resistance helps to keep facility walls looking clean and fresh for longer, compared to standard water based products and will ensure that costs are kept down, given less need for re-paint. Easy to clean properties complement healthcare maintenance cycles and an optimised sheen level allows for ease of clean while producing an attractive subtle sheen for public areas. BioPruf® technology helps reduce the growth of mould and mildew on the painted surface. To ensure reduced shutdown time, these products are low odour for a quick return to service and less disruption to clients. Available in acrylic low-sheen, water-based enamel gloss & semi-gloss & two-pack low-sheen. Water-based and available in 9 fun colours, plus traditional black. 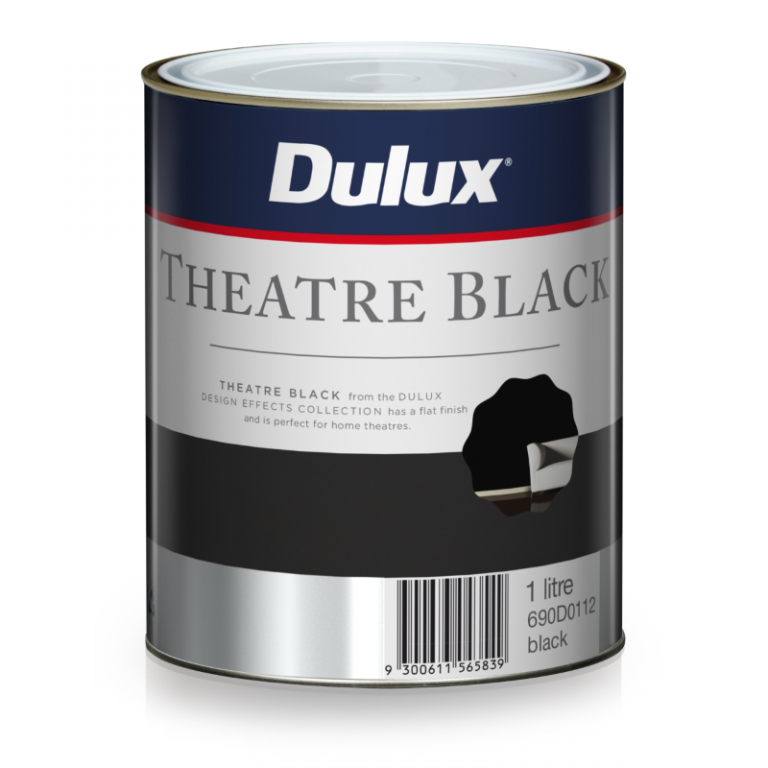 Dulux Design Theatre Black provides a flat black finish that will make sure your favourite movie is the focus. 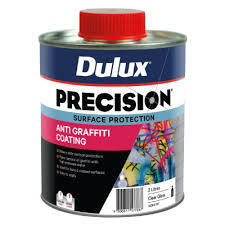 Dulux Precision Anti Graffiti is a heavy duty coating, providing long term surface protection against graffiti. It is specifically formulated to be applied to a variety of bare and painted surfaces. Aerosol paints can be simply removed with high pressure water. 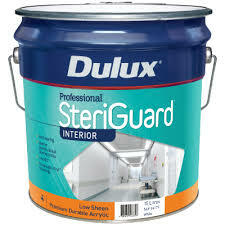 Use Dulux Precision Anti Graffiti to protect the appearance of your home against graffiti.